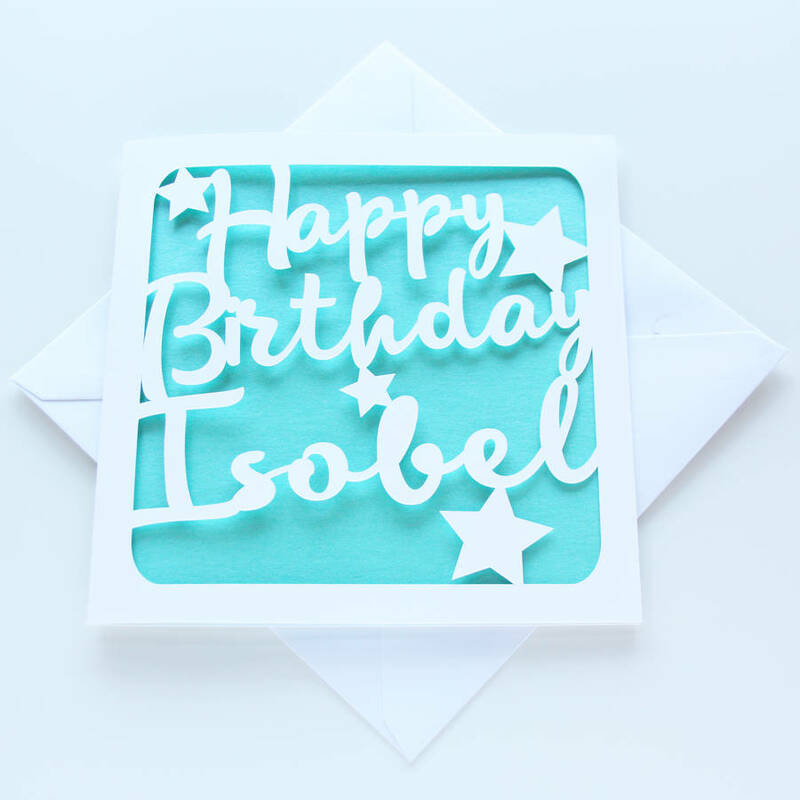 A stunning personalised birthday card. 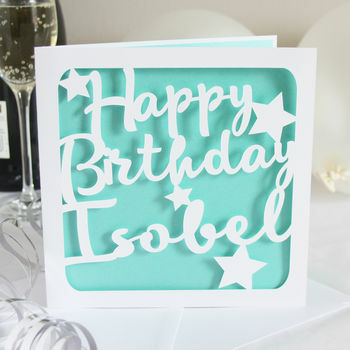 This elegant papercut birthday card is the perfect way to celebrate a birthday. 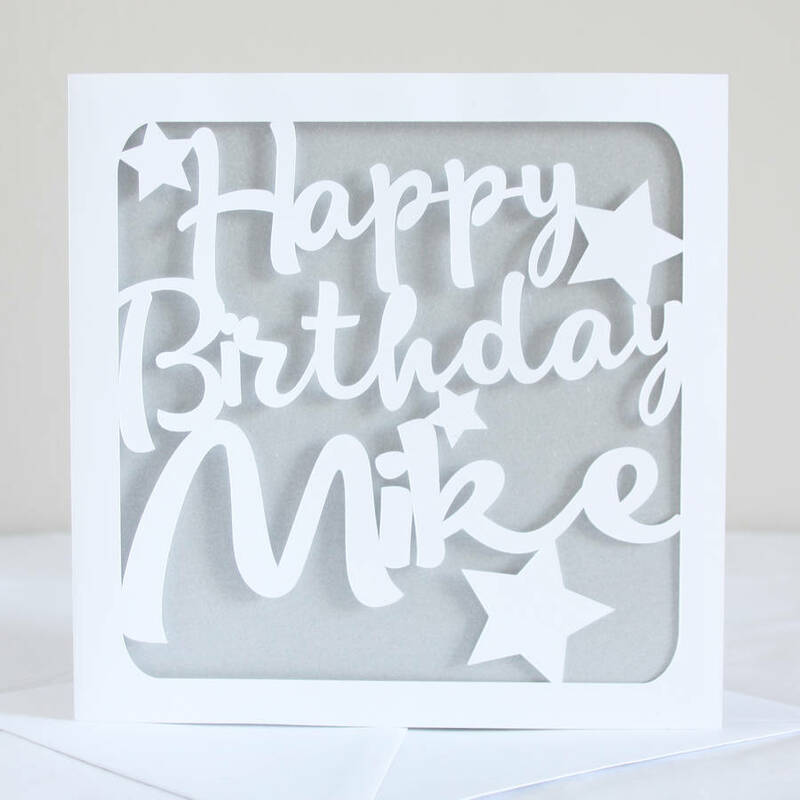 The card features the message 'Happy Birthday' in a beautiful script font, to which the birthday boy or girl's name can be added. The words are surrounded by a smattering of stars. Each card is cut on a smooth white recycled card, with a pearlescent paper insert in your choice of colours, and is finished by hand. 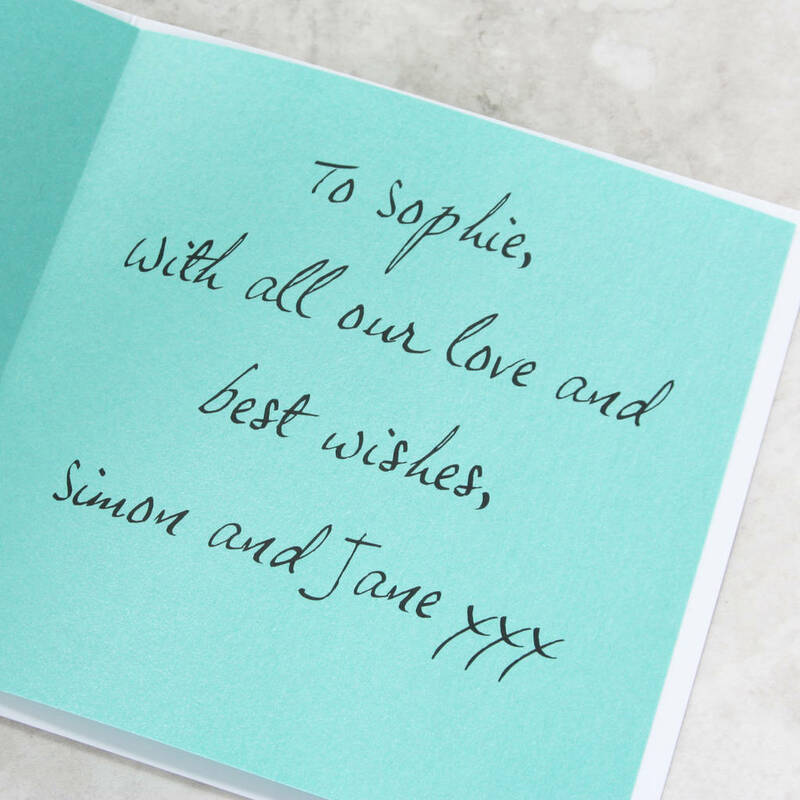 These cards can be personalised with your choice of name in the last line. 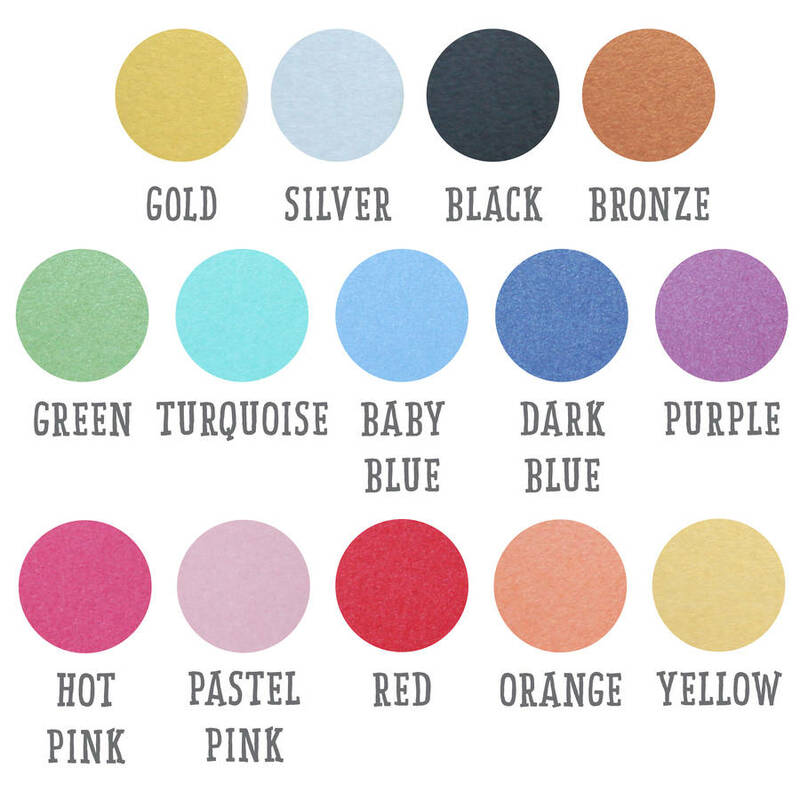 You can also choose the colour of pearlised paper insert to suit the recipient. You can now choose to send this card direct to the recipient, which is perfect if you are overseas, in a hurry or want to save on some postage. Cards chosen with this option will include the message exactly as specified in the text box provided, and sent in an envelope directly to the contact name and delivery address provided.